I have never had an art mentor who was a giant in the industry, someone to sternly push me forward or correct my repeated mistakes when I take a wrong turn with the brush. But I am just as fortunate to have a muse, my friend Sharon, who takes the most beautiful photographs of her home and her region in New England and so generously shares them with me to paint. Sharon's blog focuses on the changes in seasons and the creatures that thrive in her region. She lives in one of the most idyllic spots in the nation, though the winters can be brutal there. I am counting the days until October when I will hop on the Northbound Train from Boston and travel up to see her and her family and critters again. Maybe we'll take her beloved Lily for a walk on the beach and sit in the car and eat sandwiches, or order coffee with whipped creme and chocolate on top from some little shop in Portsmouth. She always has some amazing thing to show me. But the best part of traveling there is to see my pal. The year feels like it is moving toward a close already, doesn't it? Wherever you are, I hope you have a muse in your life, a friend who is very dear to you, and little four footed assistants to help keep your schedule on track like I do. Oh and some master painter mentor to give you a kick in the oil spattered pants whenever needed. Wouldn't that be grand. That is just beautiful. I agree, everyone needs a good friend like yours. I used to paint and draw, but haven't been inspired to do so for a long time but have been thinking about it more often lately since viewing your blog - just might be the inspiration that I need. Love it! 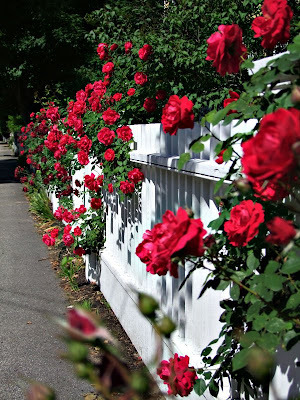 and I also enjoy Sharon's beautiful photos on A New England Life each day. Thanks for sharing! Nancy, I always enjoy seeing the image from which a painting draws its inspiration. You are fortunate to have such a quantity of subject matter to choose from. Nice interpretation! Nancy what a beautiful story. 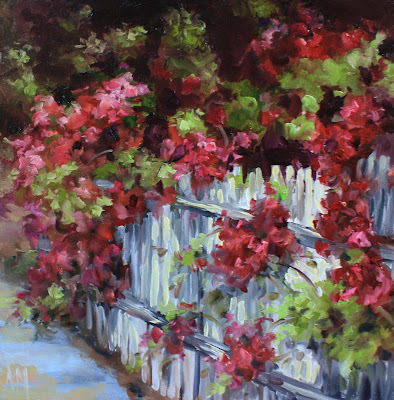 This painting has everything, (as usual) I absolutely love the color and the white picket fence. Beautiful painting, Nancy...and how nice to have beautiful photos from your friend to work from. Lovely photo, even lovelier painting! Thank you so much. Cindy, I hope you pick up the pen or brush again soon. If the art still calls you, it is just waiting for a chance to come out! Thank you Miss Becky, isn't Sharon's blog a wonderful world all to itself? Jim, I really am blessed to have talented friends! Edward, thank you sir. I hope you have your toes in the sand today and a nice cold beverage nearby. Ombretta, sending you love and hugs in the loss of your sweet kitty. 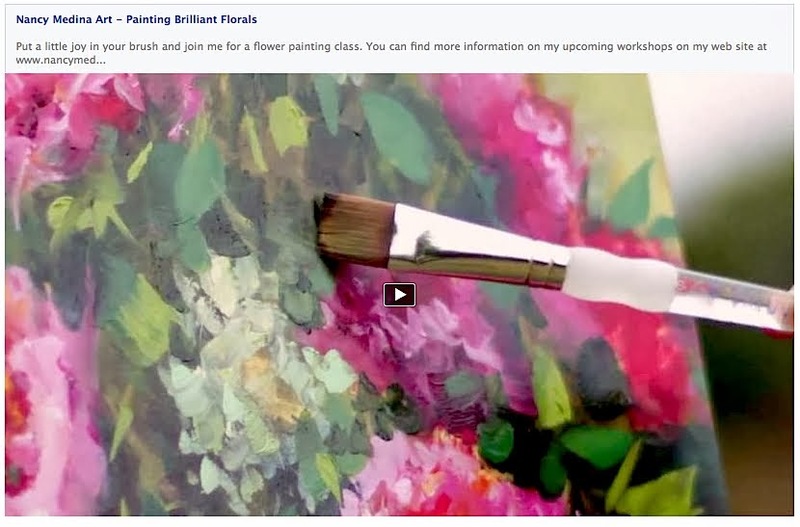 Ruth, I need to go visit your blog and see what gorgeous floral works you have painted and photographed lately. One of my favorite places to visit! Linda, I can't image you need a kick in the oil spattered pants, you have some new work that is amazing! Joan thank you SO much. I love your florals too my friend. Yankee Girl I am so glad you stopped in. 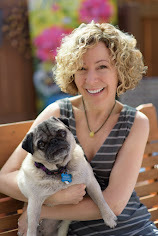 I love your bloggy lady. Liz, thank you for mentioning me on your blog I am so HONORED to be mentioned by one of the international daily painters and someone so talented. I hope your computer gets well soon. Mine has had sniffles lately, too. Sharon, thank you again for letting me use your gorgeous photos and for inspiring me. I think I owe you a coffee with whippy creme on top when I visit you in October lady! oh what an amazing team you and sharon make! i love both of your paintings and photos that you inspire in each other and then share with us! 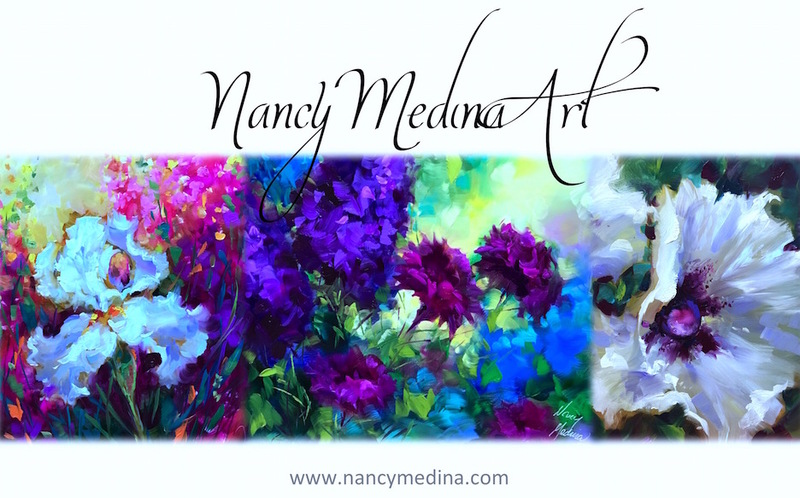 Beautiful painting, Nancy ~ and a beautiful post! A beautiful piece. You absolutely captured the fence and flowers. Wow!!! Your paintings are amazing and beautiful. I love the Great Blue Heron and Evensong. Absolutely gorgeous. Thanks for dropping by my blog and for following. Have a great Tuesday. Wow, love how you softened this. So dreamy - I feel like I can smell the roses!